Available as a Saloon, Touring, 4×4 or Gran Turismo version the 5 Series delivers on every driving level. The driving dynamics of each model comes as a result of years of BMW expertise in raising the standards of engineering and craftsmanship. Integral Active Steering is another excellent feature of this car. This feature actively changes the cars dynamics as you drive so the car is at low and high speed the cars driving system adapts to provide the driver with the most rewarding experience. Comfort is of the highest level, as to be expected with any new BMW car. The BMW Driver Assistance Systems in the 5 Series provide the driver with an array of technology leading options. These include the Heads-up Display, iDrive Touch Controller and Park Assist to name but a few. The sophisticated Camera System technology allows the driver to manoeuvre the BMW safely into any small car parking space. 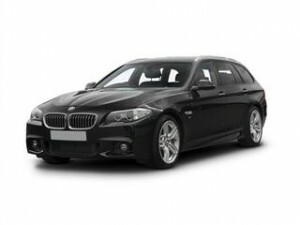 The BMW 5 Series is just one of the many BMW ranges included in our network of money saving dealerships. Private and business customers alike could equally save thousands on a new BMW 5 Series with our quote service. You choose every aspect of your car, from colour and trim to engine size and model, we then search our network of BMW dealers to find your chosen car and at a price substantially cheaper then what you may have already been quoted.